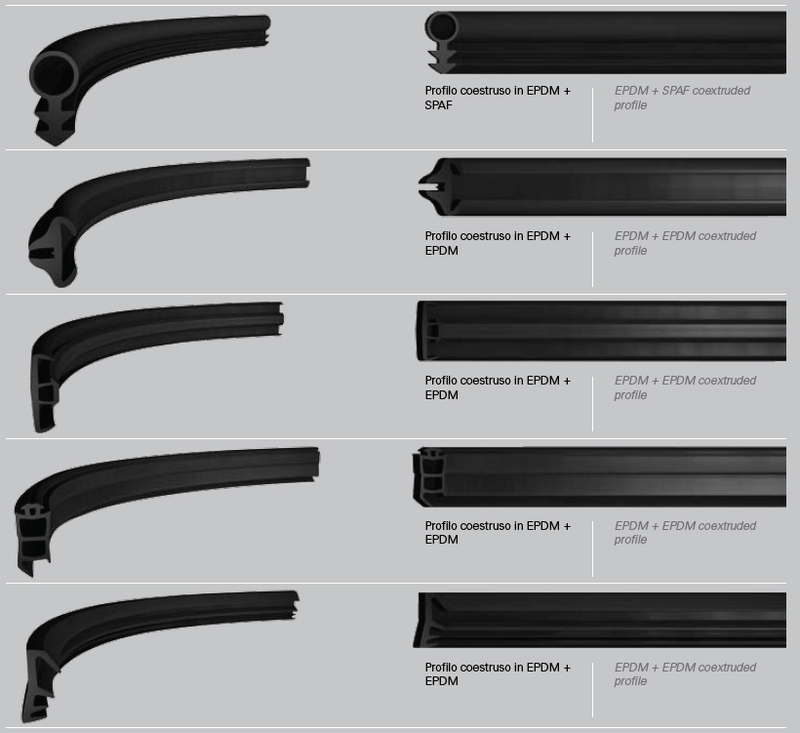 In this sector, we can develop both special door seals and windows seals to process small and big orders based on customer’s drawings. The products shown are not exhaustive of the entire product range. All the profiles can be supplied with expanded compound with a variable density from 400gr/cm3 to 900gr/cm3 and with compact coumpund with hardness from 40 to 90 ShA.